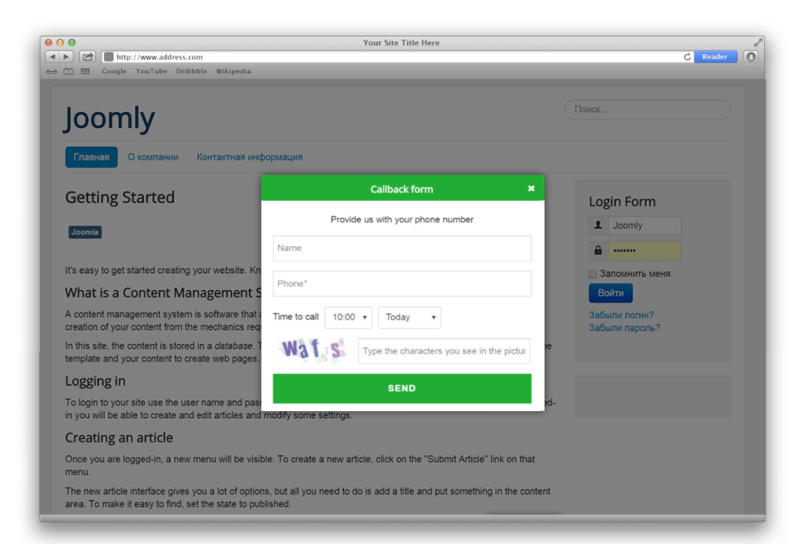 This topic shows you how to install and configure Call me back module for Joomla. 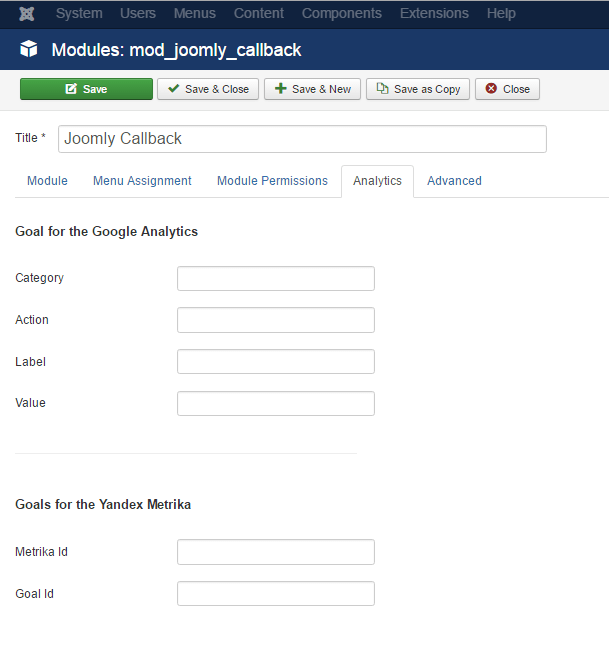 Download the Joomla Callback module. Log into admin panel and open “Extensions->Manage->Install”. Choose the downloaded module and install it. Now you are able to configure the module. 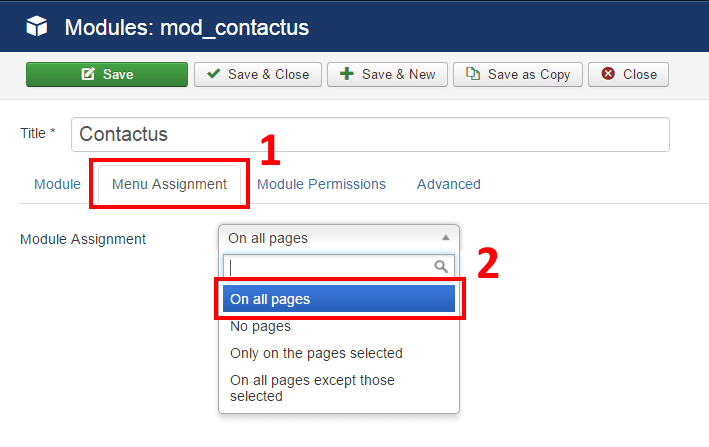 In the main menu click “Extensions” and choose “Modules”, then open the “Callback” module. 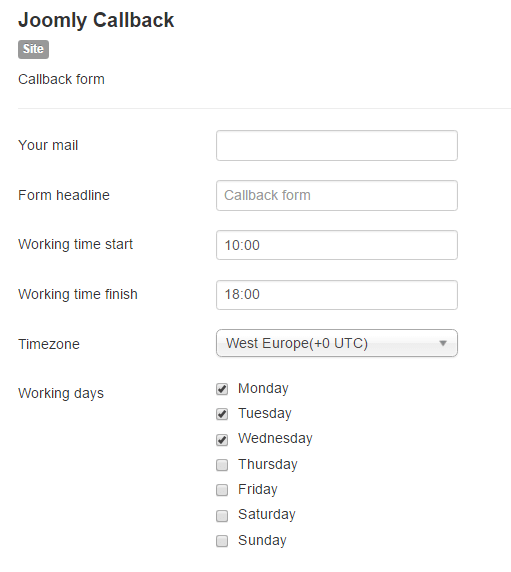 Firstly you can set the form headline, your email, working time and days. 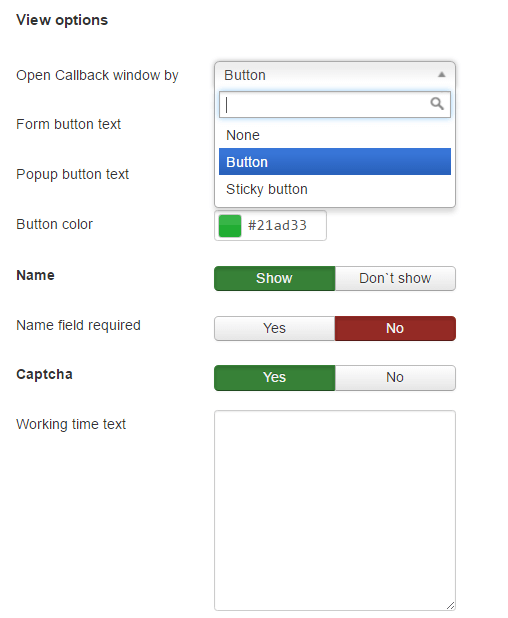 Further, you can change the form color scheme, add the Recaptcha to the form, choose an element which would be calling the callback form. If you want to call the form by custom element, select “Class” in drop-down list. Option “Button” is for default button, “Sticky button” set fixed position for the button. Recaptcha is free to use, but you should register your site on the Google and insert received keys. 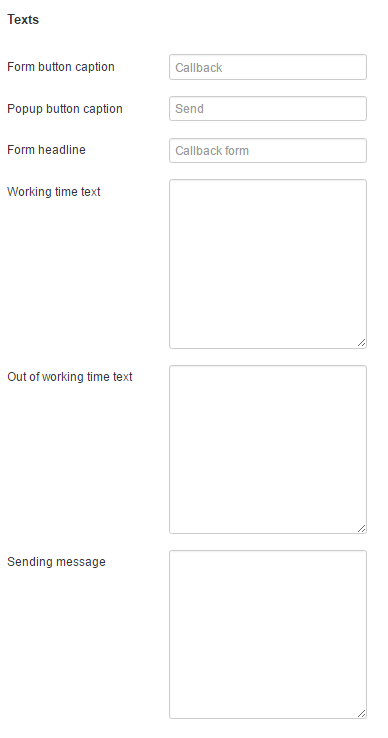 In the third section, you could customize headlines, messages, texts and etc. In the “Analytics” tab you could set goals for the Google Analytics and Yandex Metrika. You can put the module in any position of the page. Select position in the drop-down box, after that open “Menu Assignment” tab and choose pages to display the form. 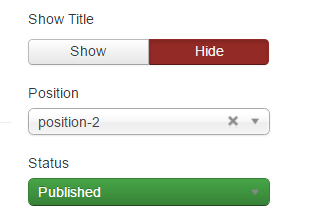 And then select “Published” in the “Status” drop-down box. For the “Sticky button” just set any position which used in the template. How to call a form by menu item. How to call a form by custom element (picture, custom button, text and etc.). How to add a few forms to the site.